Streams of pristine water rushing down a mountain cliff covered wholly in green makes for a stunning image, and the judges of a national photography contest held in 2012 in the Philippines clearly thought so too. 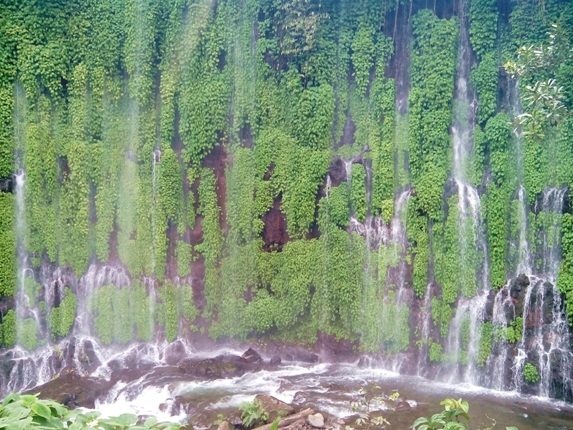 They awarded a photo of the Asik-Asik waterfalls in the mountainous Alamada region, and in doing so, announced the existence of this natural wonder to the world. The picture went viral on social media, and Filipinos were stunned by this discovery. The beautiful falls had been unknown to the public for a remarkably long time; the residents of the nearby village of Sitio Dulao had only come across the site two years earlier, after a series of floods and forest fires destroyed a significant chunk of the forest that was hiding it. 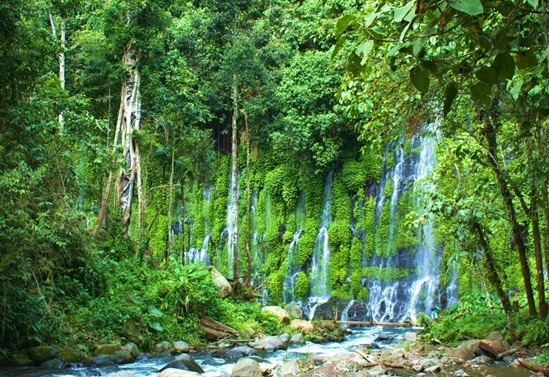 The newfound oasis was christened Asik-Asik, meaning “sprinkle-sprinkle” in the local Hiligaynon language, after the sprinkle of falling water on nearby rocks. Lush vegetation covers the entirety of the ravine, and adds mystery as to where the water is coming from. The most likely sources are thought to be springs deep within the mountain or an underground river.